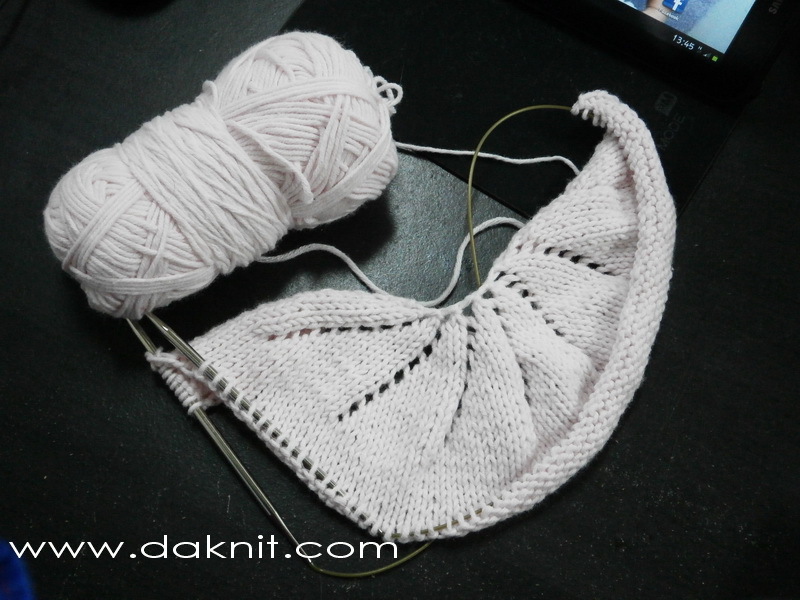 Knitting Ruffle Hat :) Love the texture so much! 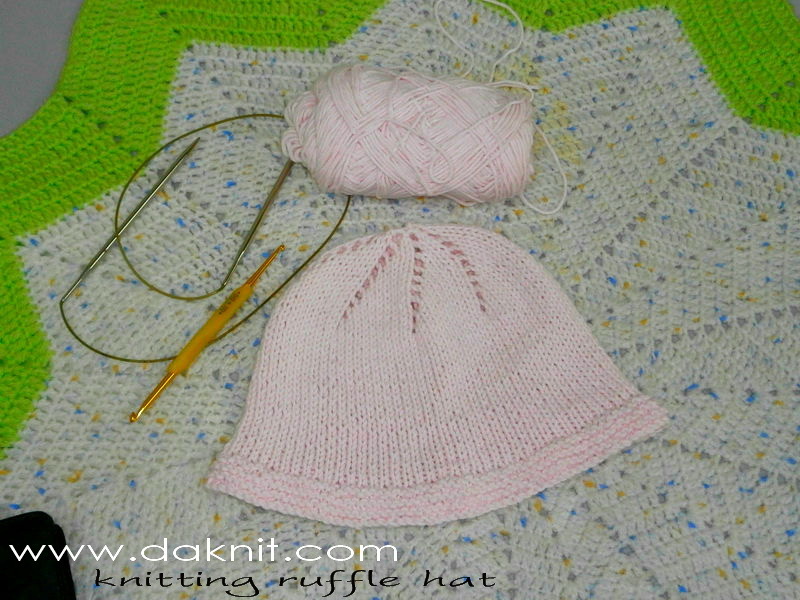 Knitting Ruffle Hat just done! 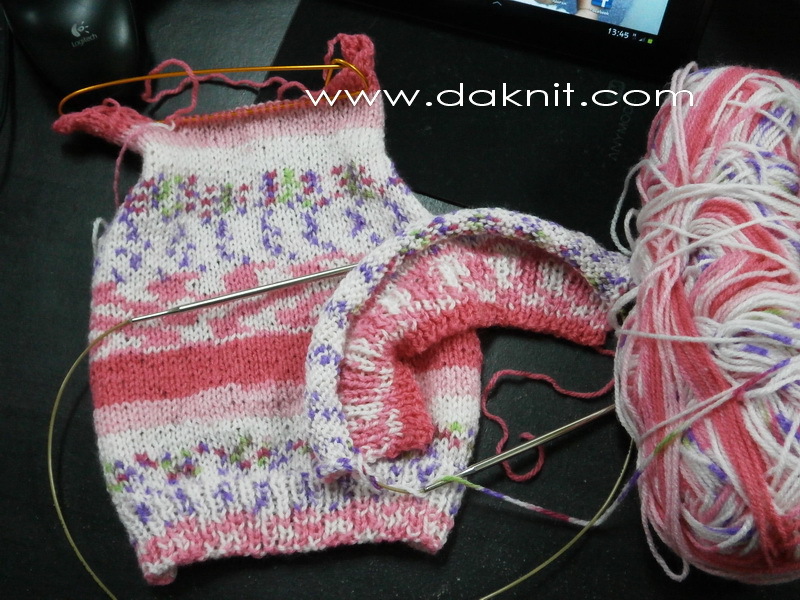 Knitting needles: 4.50mm x 80cm ADDi. Alhamdulillah.. apa khabar everyone? How are you? Hope that everyone is having a good day today 🙂 In my previous post, i was mentioning how i was feeling happy that finally I am able to upload pictures again and means, site is back to normal! 🙂 something wonderful, isn’t it? hihihi.. 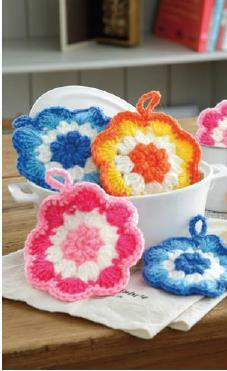 So.. let’s enjoy this yummylicious yarns ever! This is Diva Mississippi. A twin for Diva BatiK, yep same type, just what makes them different is the Mississippi self-stripping is more tidy and in perfect lines. Ahh hard to explain as i have limited vocab… 😛 well… you are free to understand what i mean here at www.alize.gen.tr. ALiZE Diva Batik :). Each ball is 100 gram/350meter. 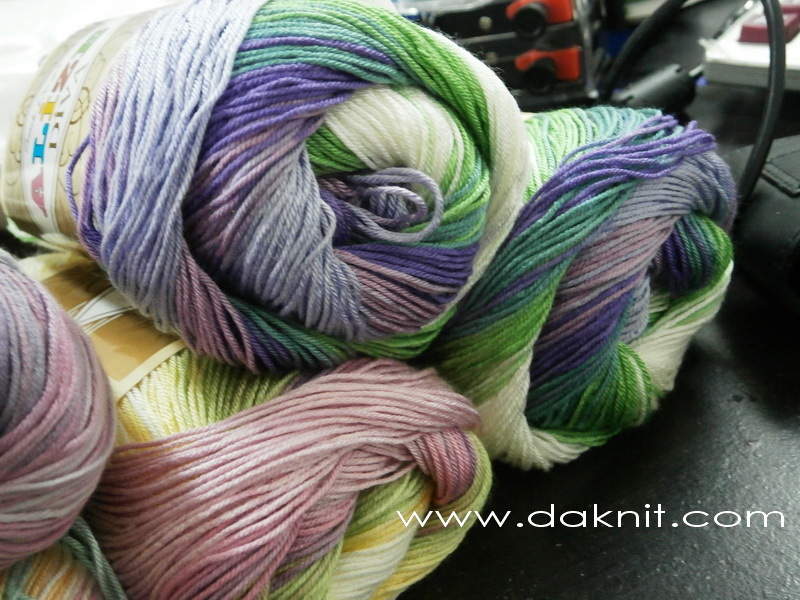 Thin yarns but beautiful indeed. Ok.. Now, lets find out what i’ve been doing lately again.. 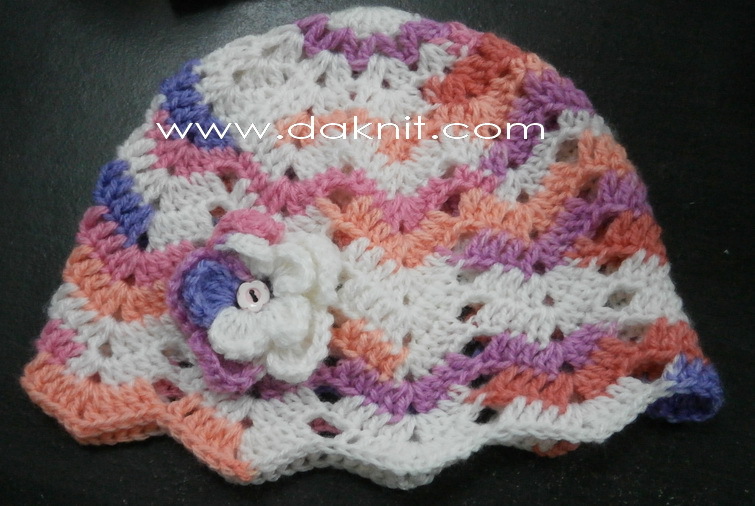 Using Baby Jami Lion BRAND (made in Turkey) made this Candy Hat for adult. Another one to put in store! BUTTT!!.. 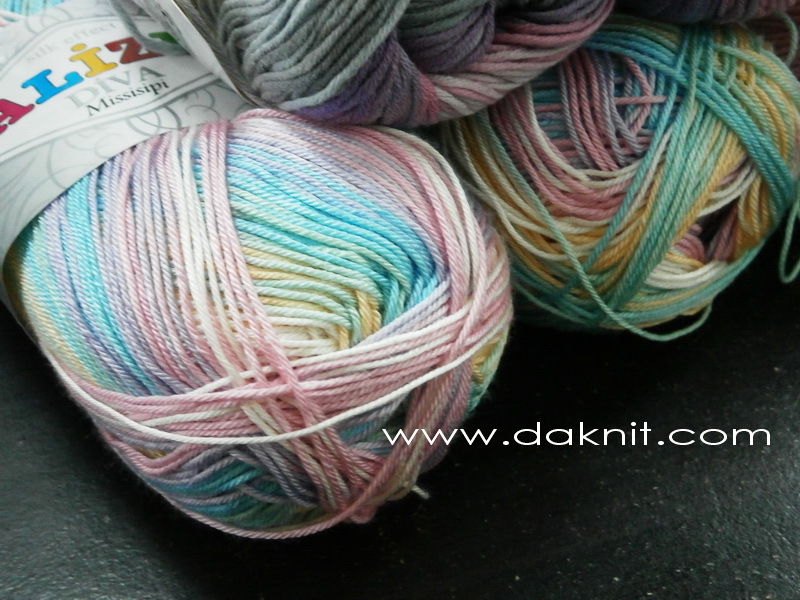 Among yarns I have used so far.. this one is totally, definitely, absolutely.. the softest one! Made with Bamboo+Polyamide fibers.. they are just perfect for babies 🙂 The good part is, it’s antibacterial! 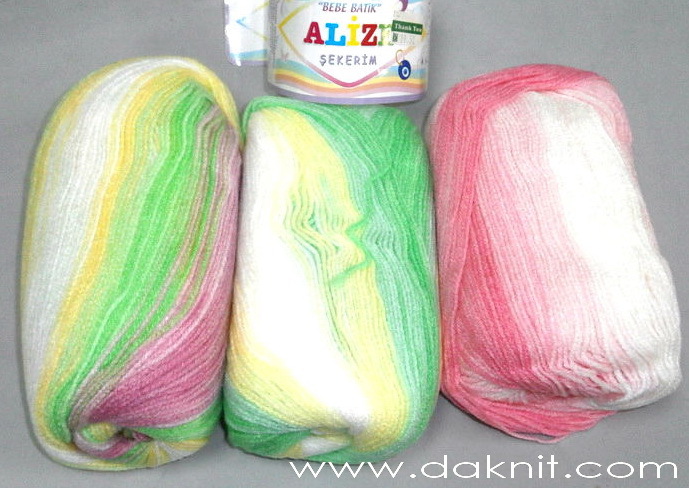 Nako Ho?geldin is one of my favourite yarn! We are having this type soon in store. So stay tune! 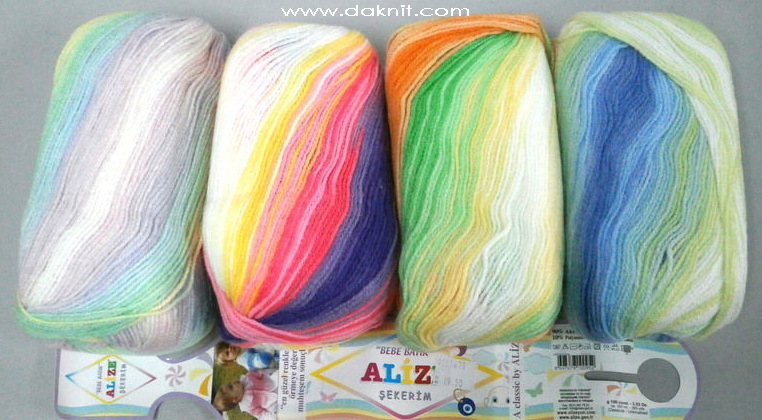 To yarn lovers staying outside Malaysia and is interested with our yarns, especially Turkish Yarns.. 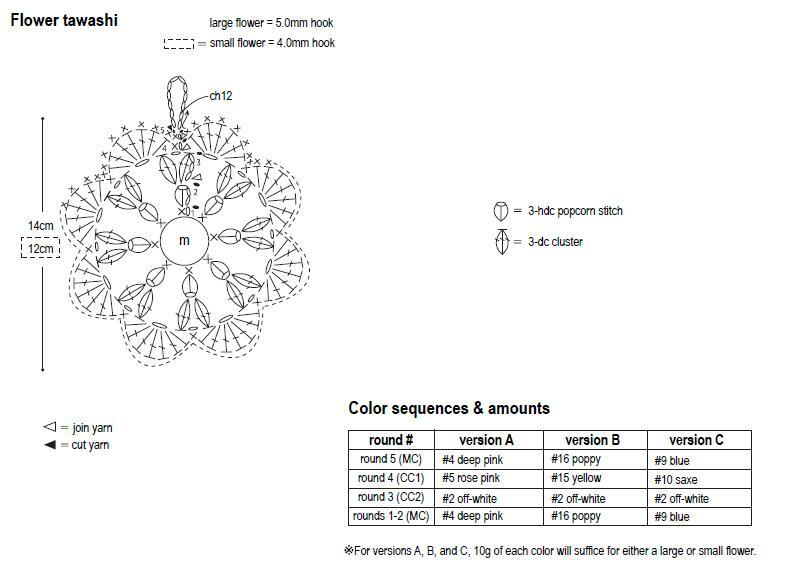 Please DONT be hesitate to contact us at turkishyarns@gmail.com for more purchase detail. We ship WORLDWIDE.